Sao Paolo turned out to be little more than a utility stop for us. That seems like a shame in a way, since it’s one of the biggest cities in the world. 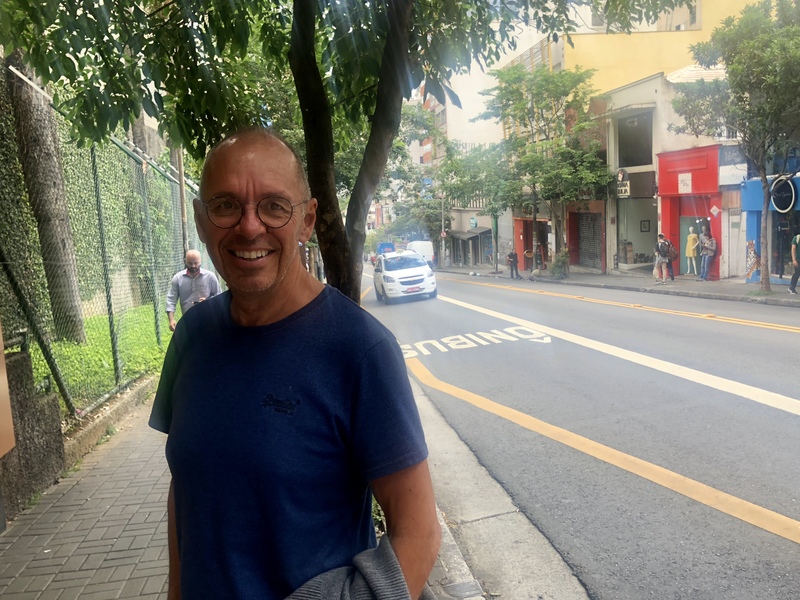 And it’s sort of the New York of Brazil, with tens of thousands of restaurants and innumerable shops and art galleries and nightclubs and bars. Many well-heeled Brazilians wouldn’t live anywhere else. But for an outsider it’s a hard place to get a grasp of. It’s so huge and sprawling. It’s not very pretty. There are really no monuments or must-do sights that you’ve ever heard of. 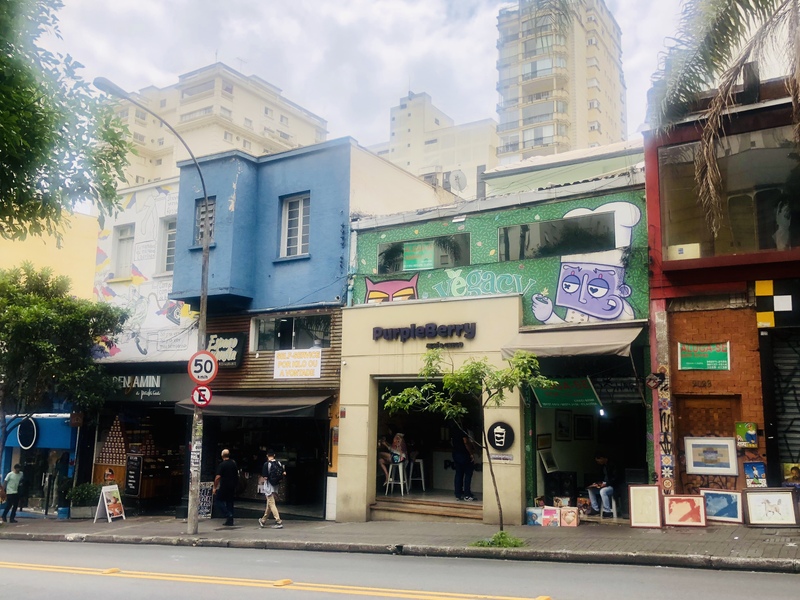 It’s knd of a mystery in a way, especially when its rival metropolis, Rio de Janeiro, is packed with sights and beaches that are practically household names. 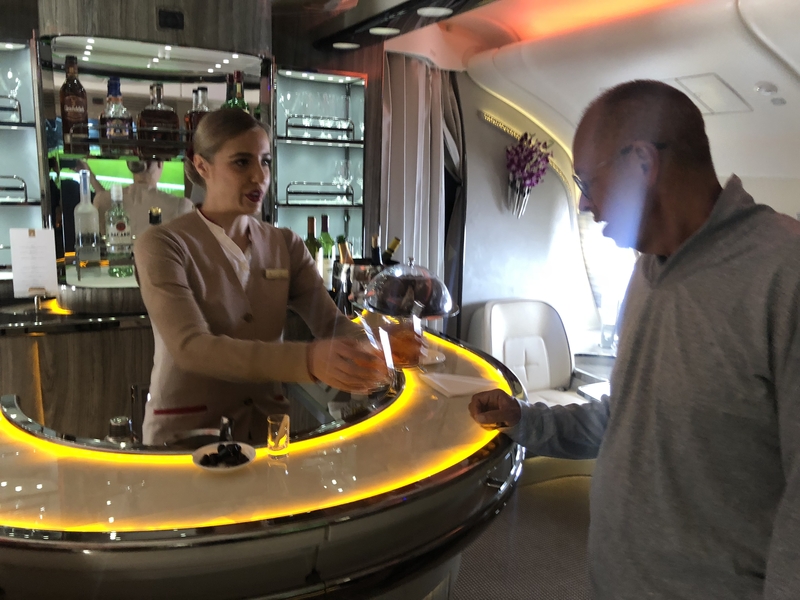 If you have a 15-hour flight to get to Brazil it helps a lot if your plane has a bar! Another big drawback is the city’s reputation for crime. Like in Rio, you hear and read so many warnings that you feel like staying holed up in a bunker. We stayed in a fairly posh part of town called Jardins, where you could walk pretty freely around, without too much worry. There were plenty of restaurants and shops to keep us occupied, especially since we had errands to run. Ordinarily I would have liked to wander around historic central Sao Paolo, not too far from Jardins, to see its grand colonial architecture. But when the guidebook warns you to watch out for the countless pickpockets — and avoid the area altogether in the evening or on weekends, that deflates your interest quite a bit. So we mostly stuck to our own neighborhood and got through our chores. It didn’t help matters that chores were more difficult than normal. Our first priority upon arrival in any new country is to buy SIM cards for our phones. The difficulty varies wildly from country to country, but Brazil turned out to be the worst. Most stores simply would not sell them without a Brazilian ID. Many phone stores were mysteriously closed on the weekend, even though everything around them was open. And we faced a surprising language barrier in these stores and elsewhere in Sao Paolo. In so much of the world there is a strong presence of English, at least among young people in educated, urbanized areas. The biggest exceptions have been in China and Japan, and to a surprising extent here in Sao Paolo. Nonetheless, I managed to eventually muddle my way through the complications of buying SIM cards using some combination of a few words of Portuguese, filling in with Spanish and Italian, and a good dose of google Translate. After two days of finally finding a place that would sell the SIM card, we loaded them in our phones only to find that it takes up to 24 hours for it to work. What the hell? 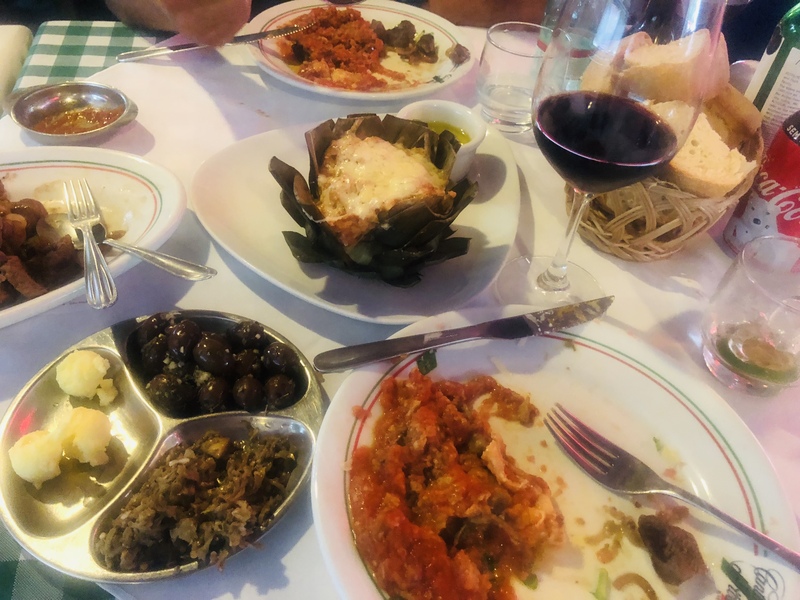 We of course managed to sniff out some great food here, and we got through our errands. And we did even enjoy just a taste of the things we love about Brazil. It’s super multi-cultural. People like to have fun. They stay up late. And now we are ready to hit the road and encounter all that we love about Brazil in some more beautiful places. 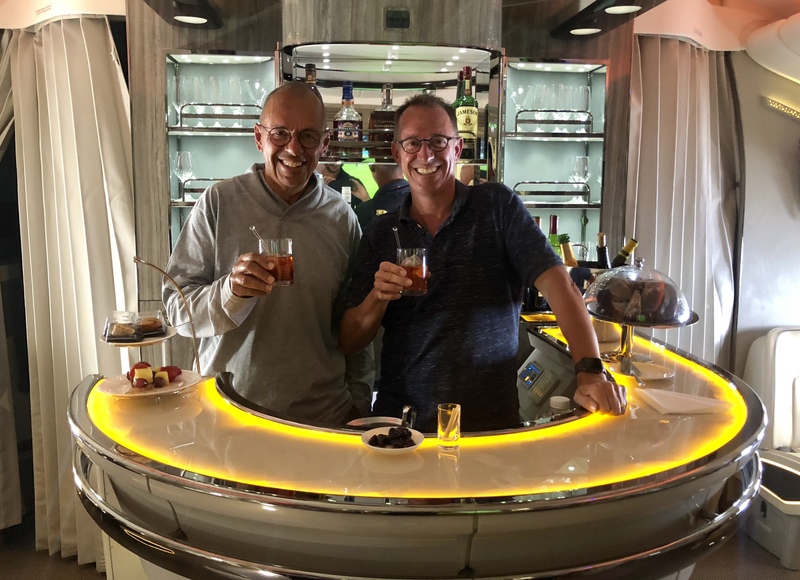 Mark and Jim take over the airplane bar. And if you are wondering, yes, Jim is wearing pajamas.